The eldest of seven rugby playing brothers (5 of whom have played for Leicester! 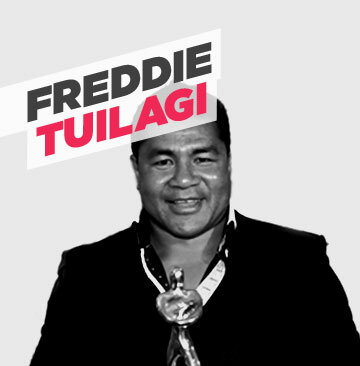 ), Freddie played for Tigers and Samoa whom he represented at the 1995 Rugby World Cup. Freddie also played rugby league for Halifax and St Helens before returning to the Union code with Cardiff and Biarritz, now retired, Freddie represents a number of players through his own company as an agent. He says, 'I'm happy to do all I can to further Matt's work both here in the UK and other places around the globe where the care for injured sportsmen and women is not as advanced'.